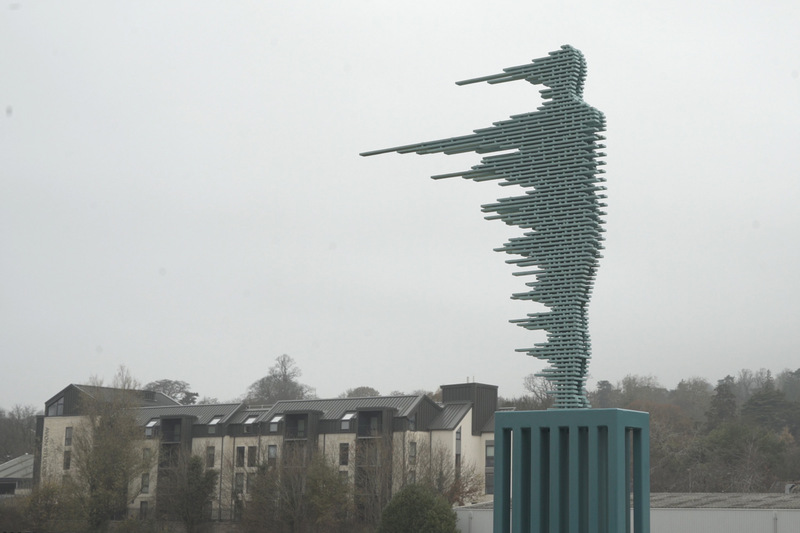 The Maid of the Bridge is a striking, abstract sculpture that’s literally ‘made’ of a bridge. 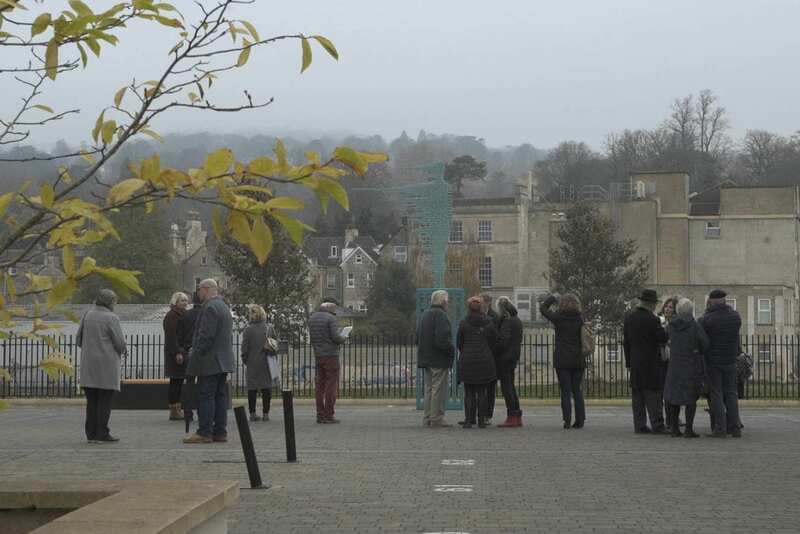 Overlooking the new park in Bath Riverside, the artwork is constructed from wrought iron salvaged from the restoration of the Grade II listed Victoria Bridge. BuroHappold Engineering collaborated with local artist, Anna Gillespie, to reincarnate the historically-valuable scrap metal into an elegant work of public art. Our main challenge was to investigate whether wrought iron can be used as a sculptural material. We tested its durability and limitations and explored tapping and drilling as ways to safely secure the structure in place. It was critical for us to ensure our solutions upheld the integrity of the artist’s concept at every stage. We built a 3D model of the sculpture to research the mechanical properties of wrought iron. This helped us understand how the piece would respond to action and movement. We recommended the best way to fix the sculpture’s pieces together was to drill and tap the bolts into the plates. We positioned the bolted connections to be both structurally sound and fit the aesthetic requirements. While researching for this project, we also created an in-depth testing programe at the University of Bath. The results are due to be published and will shape the way wrought iron is used in future.